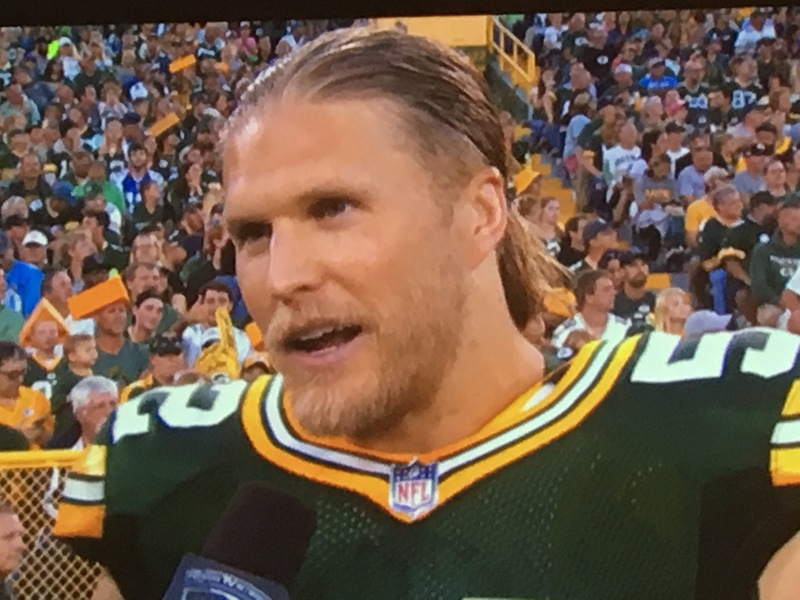 Clay Mathews “Thor” on the sidelines. It’s not even September, but football, and by football I mean the Green Bay Packers are playing preseason games. The great part about watching the Packers is seeing them win. The hard part about watching the Packers is actually being able to see them. You can see the Miami Dolphins, New England Patriots, and the Philadelphia Eagles almost anywhere in South Florida because they are east coast teams. The Green Bay Packers, on the other hand, are from Green Bay, Wisconsin, where the deer and the antelope really do play. So, not only is it just about impossible to see a Packers game on TV, it’s nearly impossible to find a bar that shows the game. Fortunately, there are a few bars in the south Florida area that are dedicated Packers bars. 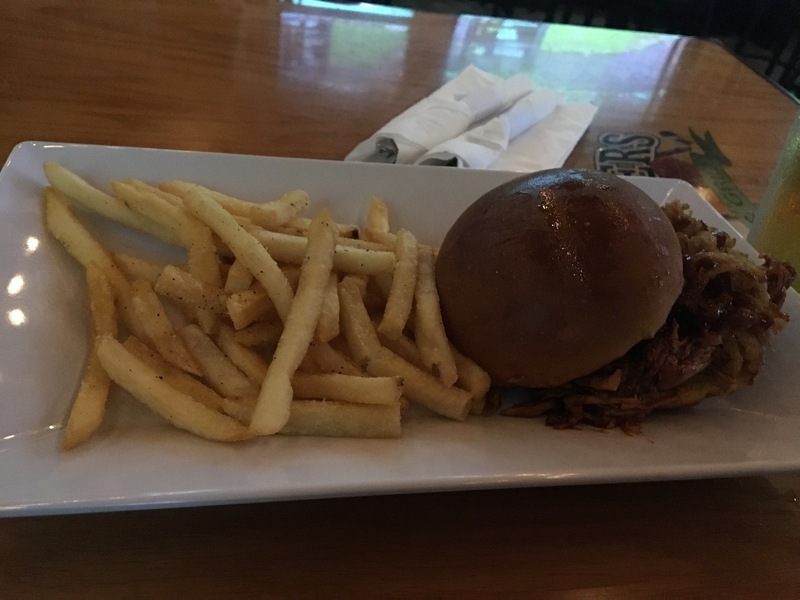 Slackers, located on state Route 84 in Fort Lauderdale is one of those bars. Voted by Miami NewTimes as one of the areas best bars to watch sports, slackers lives up to its reputation. Slackers has that comfortable, downscale neighborhood bar feeling that corporate bars could only dream of. 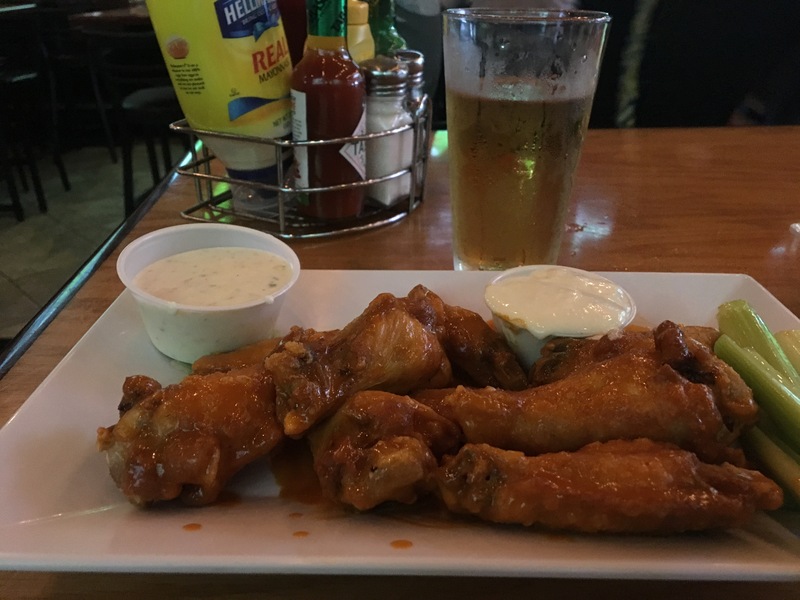 Food service is pretty good too, with great wings (shown here), burgers, the pulled chicken sandwich shown above, an amazing Bloody Mary and much much more. It has a full menu that is full of comfort food as well as a few exotics. Check out the fried cheese curds which I’ve been told is absolutely authentic. It’s a popular stop off for lunch as well. In addition to Packers games, they have a big college game following. Slackers has that comfortable, downscale neighborhood bar feeling that corporate bars could only dream of, and it's a Greenbay Packers fan bar.